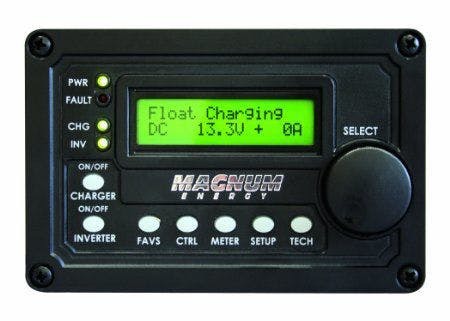 The MS4124PE inverter/charger from Magnum Energy is a pure sinewave inverter so it's safe to use with your most sensitive, 230VAC 50Hz, electronics. Buy the MS4124PE now and install additional units in parallel as your power demand increases. Connect this inverter to a 24-volt battery bank for a reliable off-grid or back-up power solution. 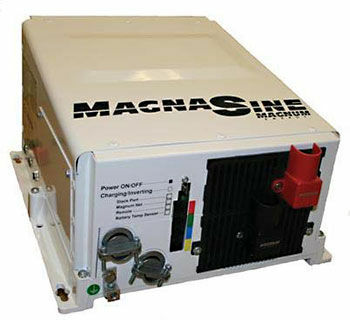 With this inverter you will get the impressive features and outstanding reliability Magnum Energy is known for. The MS-PE series of inverters is backed by a trusted 2-year parts and labor warranty.